Live, Laugh, Love Second: Currently and Open House Week! Currently and Open House Week! I have made myself focus on my school work for the past few hours, but now it's time to have some real fun! 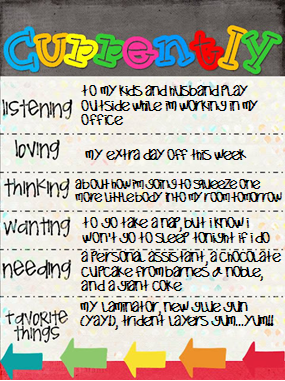 First up is linking up with Farley over at Oh Boy Fourth Grade for this month's Currently! Go 2 behind your link and leave a comment and go 1 ahead of yours and comment. What a great way to meet people and find amazing new blogs and resources! Head over and link up now! So let me introduce myself. My name is Lori and this is my third year teaching second grade. Actually, I've only taught second grade! I'm 33, so you can tell I kind of got a late start. I always wanted to be a teacher, but I got married to a soldier when I was 20 and made the transition to Army wife and mommy. We decided that when our youngest son was about 3 that I would finish college. I started back in the fall of 2006. That November my husband was killed in Iraq. I always think it was good that I was in college because between that and my boys, I didn't really have time on my hands to be dragged down with grief. I had also already registered for the spring semester and it was such a pain to dis-enroll, so I kept going. Sure enough, in the spring of 2010, I graduated cumma-sum-laude with a degree in English and Elementary Education. I was placed at an elementary school in Colorado through an early recruitment program that also paid for my last three semesters in college. So here I still am, 6 years after that life-changing event, with a job I love, 2 sweet boys that are thriving, a new husband and a baby girl due in 7 weeks! I'll admit...there have been times when working in a Title I school with a high ELL population, low parent involvement, and behavior issues has made me want to throw in the towel. But each day I am thankful that I have this amazing job where I can change the paths of children. I come home completely exhausted, but I still find myself surfing on my iPad into the wee hours of morning for great resources and fun things to do with my class. I honestly love what I do. 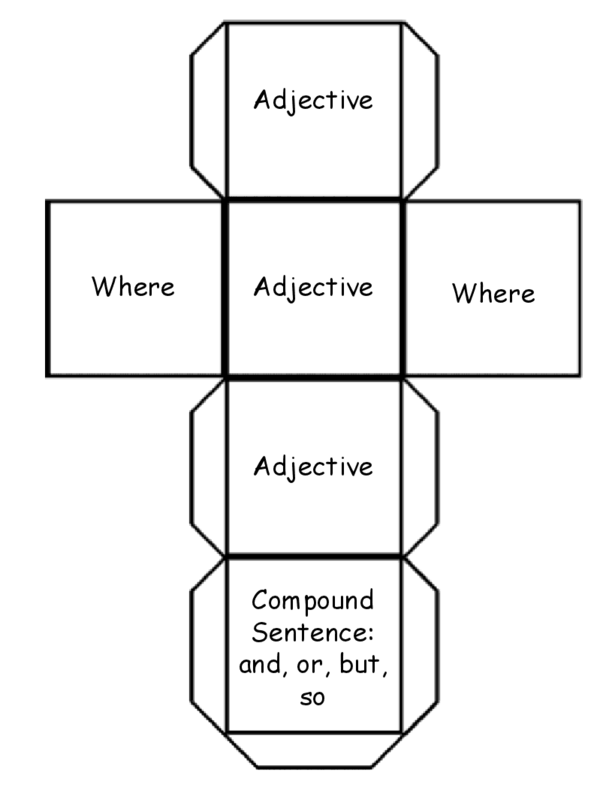 The higher level ones include complex sentences. 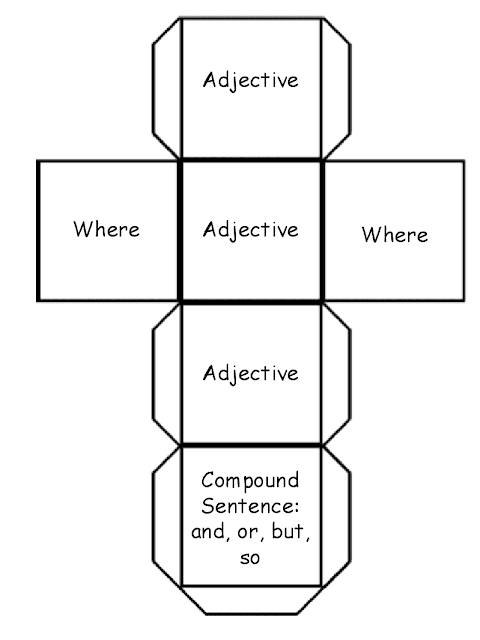 The kids start with a base sentence and then roll the cube. They then add on whatever the cube tells them to add on. This is way more fun than a worksheet and it forces the kids to use their own thinking to come up with the sentence expanders. Click here to download the cubes. Well-I hope you've learned a little bit about me and my teaching style. Hope to see you again tomorrow! I am excited for Open House week! Thanks for sharing about yourself!! I totally agree with being a hands-on teacher! I think kids learn better when they experience the concept! Wow what an inspiring story! I too got married young and took a path other than the one I expected to take, but got here in the end and I think there was a purpose in the events of my life!! Hope you have a wonderful school year! Your story is so incredible, Lori. I can see what a strong woman you are to continue your goals through your loss. Congratulations on the new additions to your family! What an amazing life story Lori. Good luck this school year and with your soon to be new baby. Thank you for sharing your life with us. Good luck with your new baby girl and have a wonderful school year! Wow, thank you for sharing about yourself and family. I can't imagine going through all that, but you are one strong woman! Congrats on your little one--so exciting, and I bet your boys are thrilled! :) Have a great school year, and don't work too hard! My goodness you have an inspiring story. My boyfriend (now husband) was in the military after high school and while he was off in Iraq, I was keeping myself busy with school, taking as many units as my college would let me. I cannot imagine being put in your shoes, thank you for sharing your story. I hope you get to enjoy as much of the school year as you can before your baby girl comes! Congrats! I am loving your blog design!